We’ve earned a reputation as a safe, dependable supplier of high-quality energy products. Cenex® is a brand of CHS and we’re proud to offer a wide range of Cenex® products and services to meet the needs of our community. For eight decades, Cenex energy products and services have come through for customers, both on the road and in the field. Whether it’s keeping tractors and fleets running smoothly, or dependably fueling cars and buses, or warming homes and providing propane for drying crops, the Cenex brand is known for delivering high performance with a personal touch. 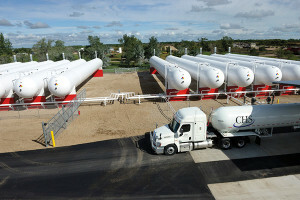 Contact our energy department at 970-848-8265, meet our energy team or visit cenex.com to learn more. Find great advice and insider tips about energy on the Cenexperts® blog.